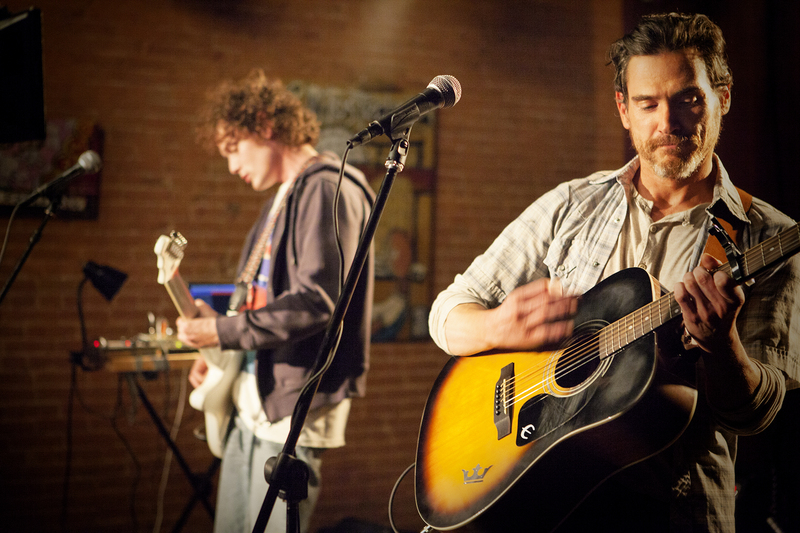 “Rudderless” opens Friday at Sundance Cinemas. R, 1:45, three stars out of four. As an actor, William H. Macy has never had much time for sentimentality on screen. In his first film as a director, “Rudderless,” he expresses a similar reticence to get mawkish, even when handling material that has such potential to get maudlin. Instead, “Rudderless” is a well-acted, sensitive, and surprisingly funny at times debut. Billy Crudup is Sam, a hotshot Oklahoma City advertising executive whose life is turned upside down when his son dies in a campus shooting. Right off the bat, Macy and Crudup start making interesting and unexpected choices — while people are grieving around him, we don’t see Sam say a single word for several scenes, closing himself off from the world. When he finally does erupt, it’s in a full-tilt bender that lays waste to the life he’s built. Cut to two years later, and Sam is in full retreat, living in a boat in another city and working as a house painter. His ex-wife (Felicity Huffman, Macy’s wife) drops off a box of their son’s old things, including demo tapes and notebooks from his career as a bedroom musician. Reluctantly, Sam digs through the box, and discovers something — his son was a really good songwriter. Partly to remember something good about his son, partly to salvage something good in himself, Sam starts taking his guitar down to a local bar on open mic night and playing the songs. (They are uncommonly good for a movie like this, written by Simon Steadman and Charlton Pattus). Sam’s songs catch the ear of a young music fan named Quentin (Anton Yelchin), who suggests they perform together. Pretty soon Sam is fronting a four-piece band on Saturday nights at the bar, drawing a good-sized crowd. Although he doesn’t tell anybody where the songs come from. Crudup plays Sam’s motives as very cagey — he’s living vicariously through his son’s music, but this also allows him to play surrogate father of a sort to the ingratiating but somewhat screwed-up Quentin. Crudup is an actor who’s never seemed too interested in being liked on screen, and Sam has a lot of rough edges, along with a cutting wit that slices through the film anytime it threatens to get weepy. Macy’s only real misstep is an odd comic subplot in which Sam spars with the other snooty boat owners on the river, leading to a “Caddyshack”-style confrontation that doesn’t seem to fit the film at all. A third-act turn takes the film in a very different, touchier direction, allowing Crudup to peel back the protective layers that Sam has built and really deal with his grief. Even then, it’s an honest and unadorned moment, never played for bathos. 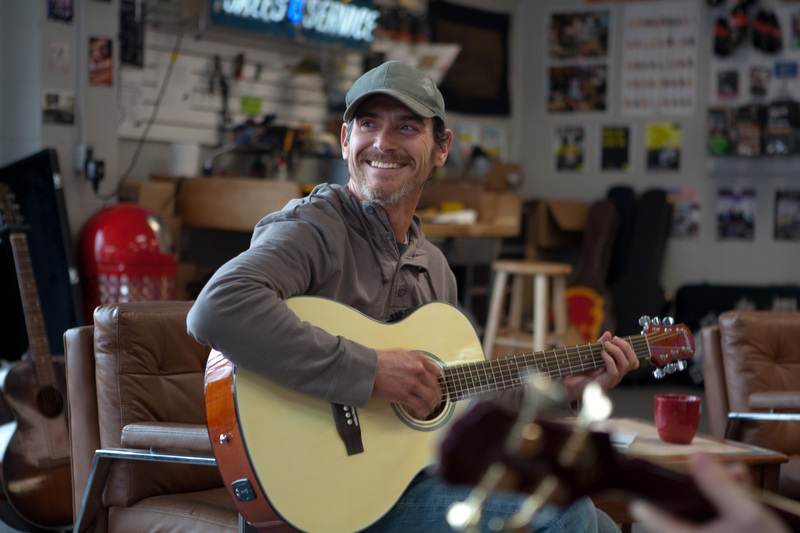 “Rudderless” is a film about how much — and how little — you can know someone through their art, and yet the film itself feels like an extension of the scruffy but sincere characters Macy has been playing for decades.